Butcher Billy's artwork for a Black Mirror classic can now be yours in vinyl form for Record Store Day 2019. 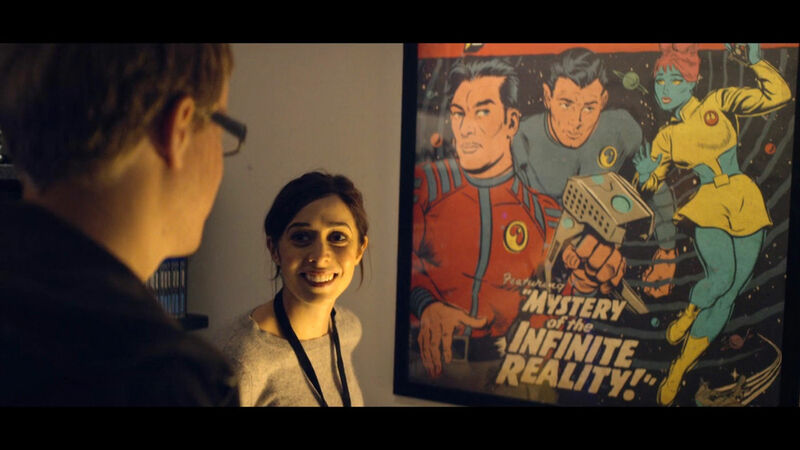 We're big fans of Butcher Billy's Golden Age-style comic book covers based on cult dystopian hit Black Mirror, which were recently showcased in a London pop-up store dedicated to the show's interactive Bandersnatch instalment. Butcher Billy's star has risen as a result, leading not only to eerily familiar takes on Momo for Buzzfeed (wink wink) but also a new release in LP sleeve form of one of his Black Mirror pieces, put out in time for this year's Record Store Day. Daniel Pemberton's soundtrack to the Emmy award-winning USS Callister is being released for the first time on vinyl by Fire Records for the annual shindig, complete with Butcher's fittingly retro artwork for the classic Star Trek-inspired story. The artwork was originally created for the episode at Brooker's request, appearing in the background of shots like this. 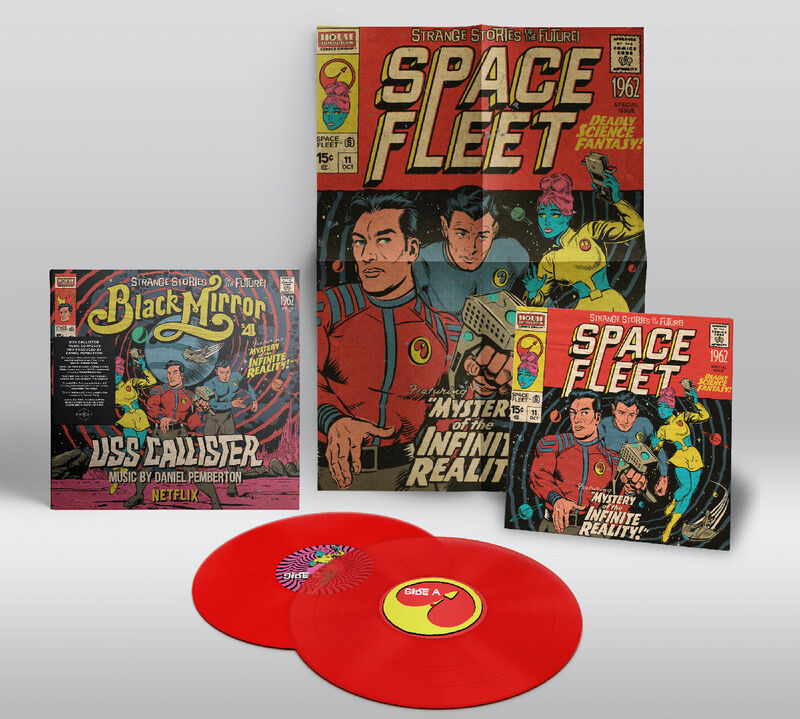 UK readers can buy the Black Mirror: USS Callister OST on RSD 2019 this 13th of April on groovy red vinyl with included poster art print. A thousand copies are available, so there'll probably be leftovers from the event; American customers can try buying some from Light in the Attic. N.B: An earlier version of this article stated incorrectly that this is the first time a Butcher Billy Black Mirror piece has been turned into LP cover art. There have actually been three soundtrack releases prior to this one featuring the artist's work. Thank you to Charlie Brigden for the correction.